Last May, European scientists managed to teleport photons using quantum phenomena over a distance of 143 kilometers, across two Canary islands; however, it is only now that their paper was accepted in a peer reviewed magazine. While the technology used in Star Trek is still only science-fiction, the quantum teleportation of photons is a reality – and it definitely has its magic. The researchers, associated with the Austrian Academy of Sciences, as well as other scientific organizations made some key innovations to the already existing systems, most notably replacing optic fiber as a solution for teleportation due to signal degradation. As Xiao-song Ma, one of the scientists involved in the experiment puts it, “The realization of quantum teleportation over a distance of 143 km has been a huge technological challenge” – and that’s putting it mildly; but the work was absolutely worth it, especially considering this can pave the way for a new age in global and extraterrestrial communication. I’ve written about quantum entanglement several times, and I still find it counter intuitive – because mostly, quantum phenomena seem illogical to our day to day, macroscopic life. 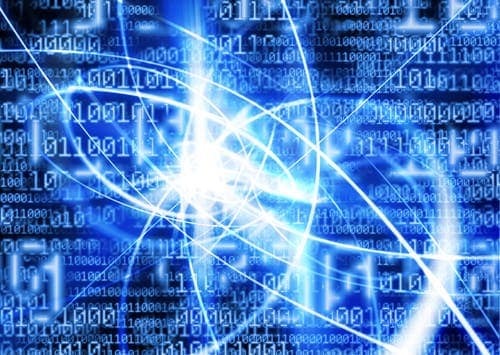 The process, with direct applications in quantum computing, occurs when particles (such as photons, electrons, small molecules and even small diamonds), interact physically and then become separated. 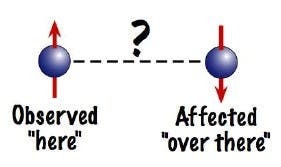 The two particles, after entangled, remain intimately connected, even when separated over vast distances – the information contained in the photon’s quantum state is transmitted from one photon to another through quantum entanglement, without actually travelling the distance. The photons remain the same until one of them is measured, which causes the receiver’s entangled particle to instantly change. Basically, when they are entangled, what you do to one of them affects the other one, regardless of distance. 1. An EPR (entangled) pair is generated and distributed to two separate locations, A and B. 2. At location A, a Bell measurement of the EPR pair qubit and the qubit to be teleported (for example, quantum state of a photon) is performed, yielding two classical bits of information. Both qubits are destroyed. 4. At location B, the EPR pair qubit is modified (if necessary), using the two bits to select the correct one of four possible quantum states. A qubit identical to that chosen for teleportation (for example, quantum state of a photon) results. This is probably making your head spin, right? 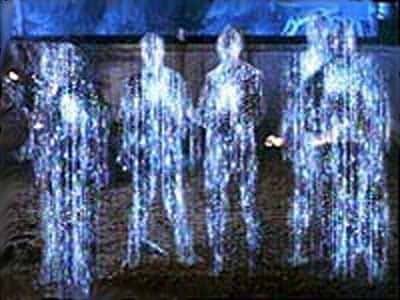 Quantum teleportation defeats common sense, and as a matter of fact, it makes physicists’ head spin too – especially given that matter isn’t teleported, only quantum states; but it’s extremely useful, and could bring a myriad of advancements in numerous fields. “The quantum internet is predicted to be the next-generation information processing platform, promising secure communication and an exponential speed-up in distributed computation,” the researchers write in a paper detailing their experiment published online Wednesday in the journal Nature. What this means is you could potentially send messages throughout the entire solar system, like maybe start talking to the base you just set up on Mars, or keep in touch with those robots you sent on asteroids to mine platinum. Or even more, you could create instantaneous internet connections. But all that is a long time from happening.